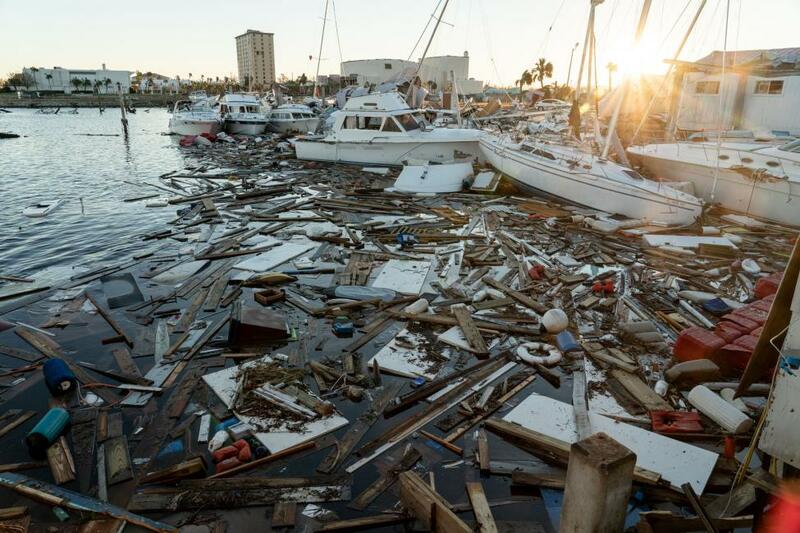 The death toll from Hurricane Michael rose to at least 17 people as residents from Florida to Virginia are still struggling to recover in the storm's aftermath Saturday. Coastal cities in Florida have been destroyed with flooding and homes and businesses ripped apart from the storm packing 155 mph winds, 2 mph shy of a Category 5 storm, three days ago. Along with Florida, other areas in Georgia, Virginia and North Carolina have also been devastated by the winds and flooding, including some areas already saturated from Florence. Search teams used dogs for people killed or trapped in debris, including in hardest-hit Mexico Beach. Aerial footage shows coastal cities in the Panhandle heavily destroyed. Hundreds of thousands of people are without power blocking emergency officials access to many towns. "I expect the fatality count to rise today and tomorrow as we get through the debris," Brock said Friday morning. There were 762,987 power outages across four states impacted by Michael that still each had over 100,000 outages as of 10:50 a.m. Saturday. The largest blackouts were 230,749 in North Carolina, 220,632 in Florida, 191,044 in Virginia and 105,761 in Georgia. President Donald Trump said on Twitter Friday that he would be visiting some areas next week to survey the hurricane damage. "People have no idea how hard Hurricane Michael has hit the great state of Georgia," Trump tweeted." I will be visiting both Florida and Georgia early next week. We are working very hard on every area and every state that was hit - we are with you!"